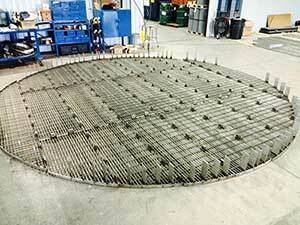 For many refining, petrochemical and material treatment facilities, catalyst support grids are an extremely important and valuable component. 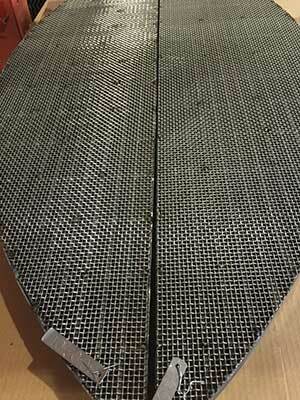 Designed to contain and support various materials and products while creating adequate surface and passage for catalyzing reactions, wire mesh support screen (made with refinery grade wire mesh) and catalyst support screens need to be adapted to your unique requirements. For optimal catalyzing within your industrial process, you can’t always settle for “standard” catalyst support grids and wire mesh support screens. If your process calls for specific materials, mesh openings or flow characteristics, Marco Specialty Steel can offer the best solution. 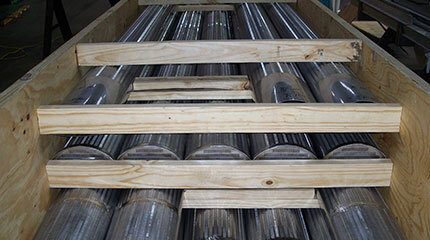 We fabricate using a wide range of metals and materials for all types of catalyzing and material retention. We can custom-fabricate a wide range of products. We take your drawings, blueprints and specifications and select the materials that meet your catalyst and retention requirements for maximum performance. We can create support grids with the size, shape, diameter and type of openings you require for adequate support, filtering and catalyst functions. We fabricate our own materials and components in our own in-house fabricating shop. Choose from materials such as carbon steel, stainless steel, nickel alloys, copper alloys, titanium and zirconium, FRP Grating, depending on the requirements of your process in terms of strength, conductivity, and compatibility and corrosion resistance. We are able to take your existing screens and grids and create replacements that meet or exceed the OEM specifications. We understand the importance of material selection, dimensional tolerance, material compatibility and joining techniques for reliable function and durability. We consider factors such as chemical compatibility and stability as well. Choosing to work with Marco Specialty Steel for your catalyst support grids and wire mesh support screens gives you the most flexibility in terms of custom fabrication and material selection. We can propose from our existing selection stock or modify as necessary to adapt to your process. It’s easy to get started. Simply upload your blueprints or designs to our site. One of our catalyst support screen experts will analyze your needs and propose the custom solution you need to help create print takeoffs. If you prefer, you can send your specifications by email, fax or overnight mail, or simply give us a call at 713-322-4136. Tell us about the particular requirements and expectations you have, and we’ll create the custom fabrication for your catalyst and material retention system. Discover why so many manufacturing operations across Texas and throughout the USA have made Marco Specialty Steel their one-stop source for support grid fabrication and all their metal/steel needs. Contact us to learn more about all our services and get a no-obligation project quote today.